Have you ever met a cat whisperer? 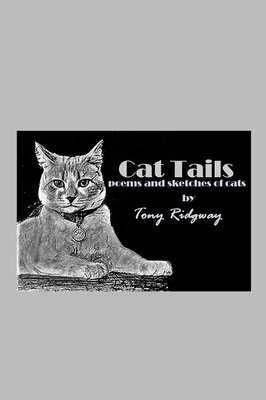 When you peruse the pages of this wonderful book of poems and sketches by Tony Ridgway, you will also have the honor of meeting a true life, self-proclaimed cat whisperer! And who are we to argue with that? You see, only a cat could tell us if Tony is indeed a cat whisperer! We have all heard about the dog whisperer, and we have heard about horse whisperers, so why not look upon Tony Ridgway as a guy who talks to cats? It seems we will just have to take his word for it that he is indeed a true life cat whisperer, as we go through each page of this delightful book, certain to please anyone who has ever loved a cat. And isn‛t that most of us? Reminiscent of the style of e.e. cummings, but with his very own voice, Tony Ridgway talks to the cat (or kitten) in all of us.